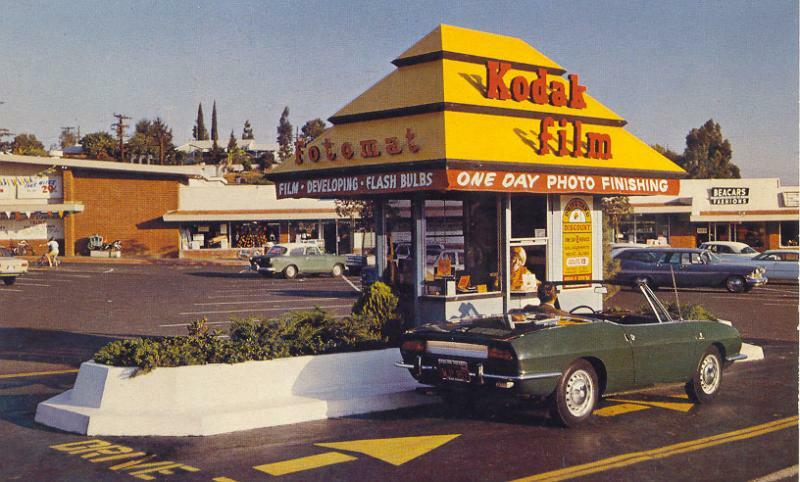 The world is changing so quickly that sometimes it seems that digital film was available four score and seven years ago, but that’s not the case. I have been documenting my life with amateur photography since I was in middle school, and I did not buy a digital camera until 2007. Seven years ago. That means that eight years ago, I was still buying rolls of 35 mm film to shove into the cradle of my Pentax camera. There were spindles and sprockets, and sometimes they wouldn’t connect, and you could spend nine minutes trying to make sure that the flange which had the leader sticking out was in the right place. Take, dangit! Just take! You had to choose your shots wisely. I usually bought rolls of 24, but if I was livin’ large, I would buy the pack of 36. What a world of freedom that opened! How would I choose to spend those 36 opportunities? I damn sure wasn’t snapping pics of the food I ordered at restaurants. And you don’t want to know what it was like to manually advance your frames. Talk about carpal tunnel in your thumb. Stupid lever. Do you know how high-tech I felt when I got a camera with a little motor that went “zzzhhh” to rewind my film for me when it was done? That was sweet. That was futuristic. Space age. Better than Instamatic. 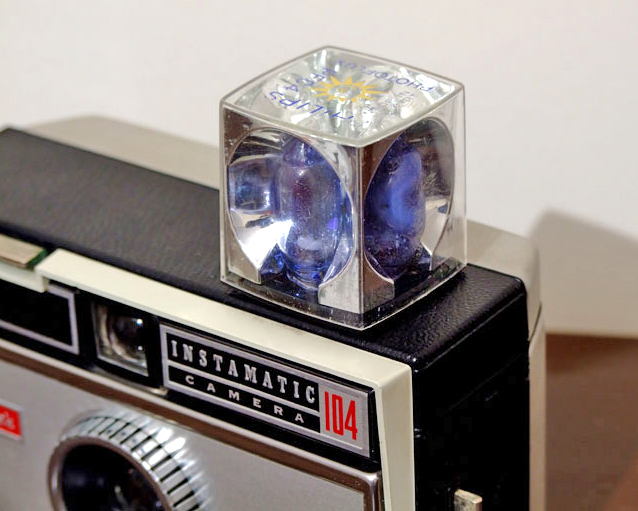 And speaking of Instamatic, do you remember these babies? Yeah, that’s a flash cube. You had to PAY for a flash. And they were not foolproof. But there were other risks: You had to hope you didn’t expose the film to light by accidentally opening the back door when you thought it was empty. Oops. I spent an entire day in San Antonio, visiting the River Walk and the Alamo in the 90s, composing and snapping pictures, feeling pretty proud of my skills, only to discover when I got home that I had failed to load any film into the camera. 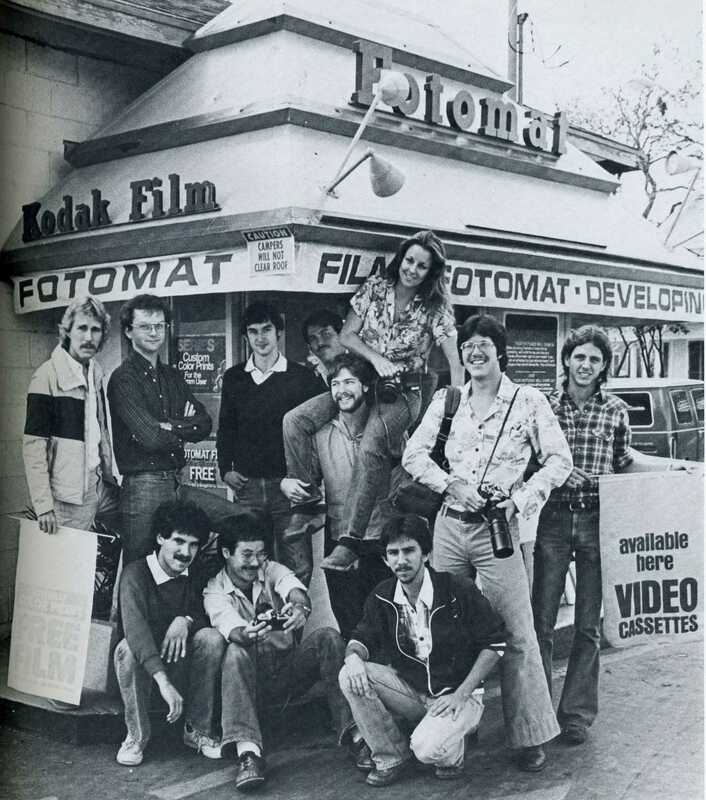 Who wants the staff at Fotomat looking at your dirty pictures? Polaroid film was expensive. And the resolution was crappy. And they could still stink long after taking them. I remember peeling one apart and how it reeked of chemical so many years later. And you couldn’t send them by phone, even if you had stacks of Polaroid pics. I imagine there are also folks who praise Instagram. Having no smartphone, I’ve never used it. I don’t really like changing a picture, other than lightening/darkening or cropping it. I want it to be true to what it was, capturing that reality in that moment. I don’t do PhotoShop. But I have friends who swear by it. And many more who facebook their square-shaped Instagram shots with fancy filters. Do you realize Instagram wasn’t even launched until just over 3 years ago? It didn’t become popular until 2012. Folks, 2012 was 13 months ago. Yes, it was. Life is moving too quickly. I need to take a deep breath and go back in time, to a world where in the middle of every shopping center, reigned the familiar yellow roof. Come here and let us develop your memories! Did you ever use the Fotomat? Did you ever work in one? Did they have a toilet in there? Didn’t it get hot when the sun was shining in your face? Did you keep copies of questionable pics and show them to your friends? Yes, I used the Fotomat. I also wondered about each and every question you posed above. When I took photography in college, my biggest film problem was it crinkling inside the developing reel you had to feed it on in the dark before dipping it in the chemicals. I too often had gray, undeveloped streaks on my negatives. So I became a writer instead. Nowadays, I love being the fool shooting foolproof shots with my iPhone. Thanks for the memories! I remember my mom using our bathroom as a dark room and the trays of chemicals, making sure not to open the door and ruin everything. But I never heard of gray streaks on negatives. How frustrating! Good post. I never took too many pictures until recently. Years ago I took a bunch of pictures on a cross country trek but lost the camera; and two rolls of exposed film. I don’t think I would have the patience to take photos were it not for digital. 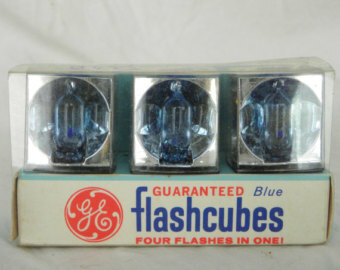 I remember all of it, flashcubes and everything. I remember those flashes hidden safely away behind a display case near the cash registers of drug stores. My family had a Polaroid, but I used disposable cameras at the end of the 90s. I also had an Advantix for a while, but never took too many pictures with it. I love all these details! Interesting post. I sometimes think the freedom of having a camera on the phone can be restricting in itself. Too many times I see photos that only touch the surface of a subject. A deeper connection can be made by observing and waiting which is a forced action when ‘limited’ by film. I’ve never taken a picture with a phone. Isn’t the resolution bad? I feel like I need to zoom it in and get it just right, so I haul around my heavy Nikon with zoom lens until I become a hunchback. I think you make a good point. Hmm I document my work regularly with my camera phone and it’s fine for my sketchbook or for social media (all pics on my blog are taken with my phone) but yes the resolution isn’t as good as a digital SLR so no good for big prints. Such a fun topic! We didn’t go to a Format unless on vacation. Otherwise, we would take film to a camera shop to develop. I took a digital camera on a trip in 2009, the first time every photo came out well. I loved my Dad’s funny “pocket” instamatic camera and his clunky Polaroid camera went with us on our first honeymoon. You took a Polaroid on your honeymoon? I know how clunky they were, so I can see how you couldn’t have put that in your purse LOL. Are the pictures still good or have you scanned them into digital by now?